Gone are the days of keeping a stop watch next to your computer to time how long you were on the internet. With broadband, you are paying for what you do (data downloaded and uploaded) on the Internet as opposed paying for how long you spend (per minute dial up costs) on the internet. 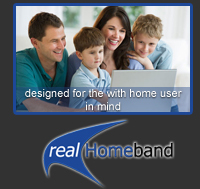 Using the realHomeband Express as an example, you pay E69.00 per month to Real Image for your internet service. This includes 500MB base cap, 5 email address, 250MB mailbox for each address, this service is provided over a 128Kbps/64Kbps line. And E175.00 per month to SPTC for the Line rental and any voice calls you make over that line will be billed as normal. Should you wish to keep a dial up connection, for instance to use at a different location where ADSL may not be available, this optional 56K dial up is discounted from E165 monthly to E65 monthly. What if I sign up in the middle of the month? If your line is in enabled in the middle of the month you will get charged for the number of days you use the ADSL for that particular month. The first invoice on the ADSL will have the number of days for a certain month and the next full month for example say you start on the 9th of February. You will get billed for 20 days in February as well as the month of March. There after the invoices will be the applicable monthly fee e.g. 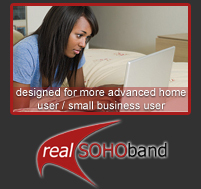 E69 per month for realHomeband Express, unless you choose to prepay for one year. What happens if I have paid for dial up services in advance? If you happen to change to ADSL before the other service expires, we extend a change of service credit from the day the service becomes active. For example if you have paid for the full month of February and you start your ADSL on the 9th of February the remaining 20 days of your dial up service will be credited to your account. 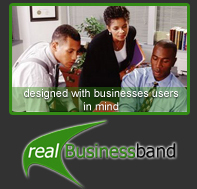 This credit will automatically pay the next renewal invoice(s). What happens if I run out of my base cap (amount of data allocated in one month)? Should you run out of your base cap during the month, you can purchase top up caps of various denominations. These top up caps are valid for 60 days from the date of activation. 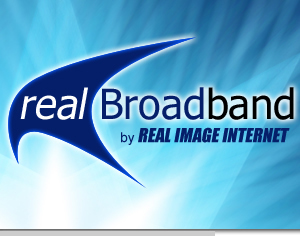 Copyright © Real Image Internet 2011. All rights Reserved.